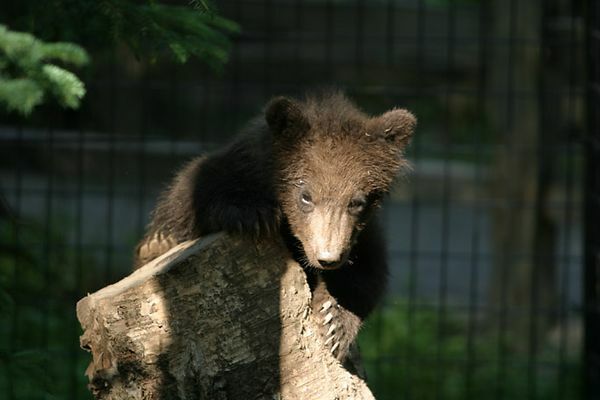 Orphaned cubs are cared for at the Alaska Zoo in Anchorage until a new home can be found for them. I am trying to reach the photographer in Alaska, John Gomes, who took a series of Alaskan bear cub shots at the Alaska Zoo before they were sent to their new home at the Columbus Zoo. I work at the Columbus Zoo and I would like to see if I can talk to him about using some of his work in our conservation publications. Do you have any way for me to reach him? I didn't see an e-mail address.